Ask any writer and they’ll tell you they have a favorite writing book. Most have more than one. By writing book, I mean anything you use as a resource to enhance, support, encourage, explain, or provide education about the craft of writing. Some are books that teach you how to harness your creativity, others talk about the technique behind creating the best subplots. If it helps you in some way on your writer journey, it counts. When I took part in the MOOC How Writers Write Fiction, someone started a thread about the subject and the participants delivered page after page of favorites. I don’t own most of their suggestions and if anyone does, I want to be his or her friend (by the way, if you live in an English-speaking country, you have no idea how lucky you are to have access to libraries with books in English. My library has maybe 34 books in English). This list started me thinking. I may not have hundreds of writing books, but I have a few and I’ve skimmed over others in the bookstore before I moved across the giant pond. If someone asked me what my favorite writing book was, how would I answer? Could I choose only three? I love this book. Filled with a selection of articles and speeches he wrote over the years about the subject of writing, he offers fantastic tips for your writing journey. Good stuff. It’s nothing compared to how he says it. I’ve never run across a writer filled with as much enthusiasm about writing as this man. You know those people who are on fire for what they believe in? That’s Mr. Bradbury. 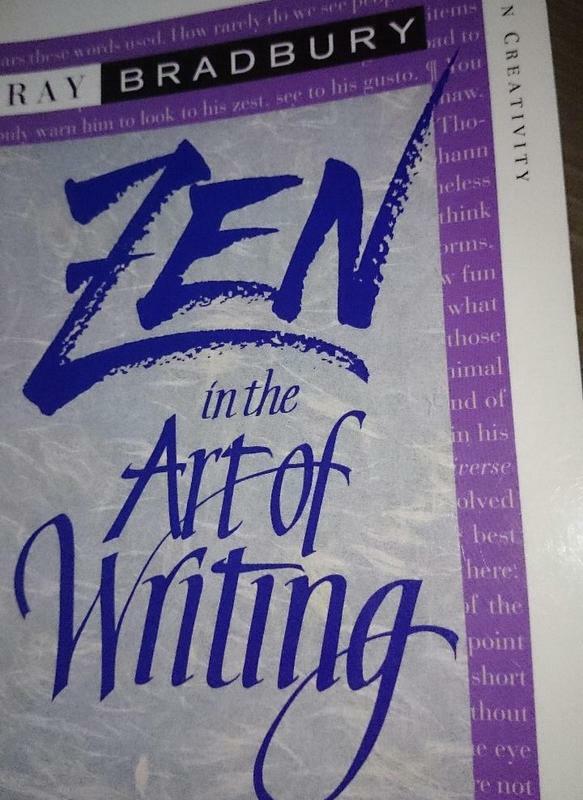 If you’re having trouble getting motivated, have writer’s block, or have forgotten you began writing because it was FUN, you need to read this book. I promise you won’t be disappointed. Just start . . .
One of my writing group members gave me this book. Initially, I didn’t know if I would like it because it was an older book and some of the things she talked about didn’t resonate with me. But I have to admit I fell in love with it. Divided into short chapters, sometimes only a few paragraphs long, it seeks to encourage writers, rather than offer specific techniques about plot or story, though many helpful tips are scattered between the pages. The idea with this book is to write. Write anything. Write about food. But the first step is always to write. I took to reading one or two chapters before beginning my writing each day, and something surprising happened. I found myself missing the days I skipped it! I love the practical tips she offers the most. On a day when fifteen complex ideas were running through my head and I couldn’t focus enough to put anything on the paper, I read ‘start where you are’. I looked around and saw the toilet paper roll elf my kids made and wrote a poem about that. It helped to let go of the big ideas and focus on where I was at the moment. I’ve since recommended this book to several friends and now it enjoys a prominent place on my bookshelf. 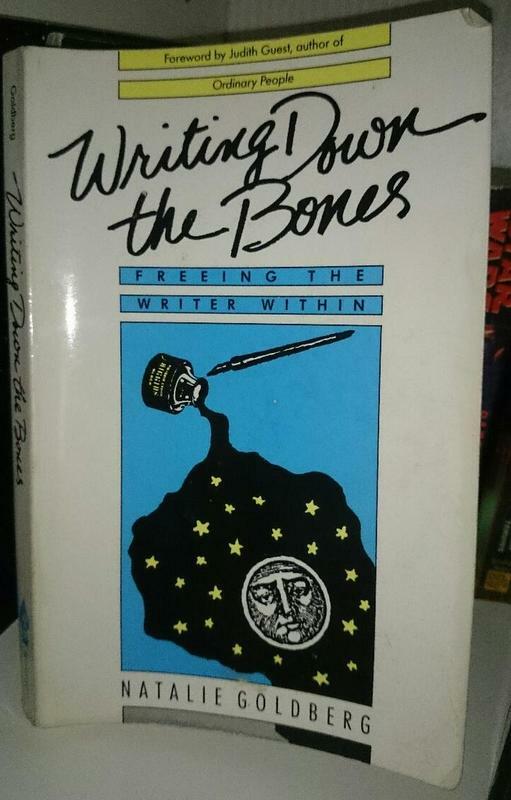 Most of the writers I know have a copy of this book. I first read it years ago. Mine is dog-eared, marked up and has little bits of post-it notes peeking out from the pages. I’m not even sure why I liked it so much. I think because of all the writing books I’ve read, this one feels the most personal to me. I loved reading about the moments in his life and his path to becoming a writer. I could connect with that. I’d venture to say that’s the key. For the first time, I felt connected to other writers. I felt a similarity between our thoughts and struggles. I think, before then, I had this idea real writers were aloof, arrogant and had the time and ability to carry out their goals. I, on the other hand, was fighting my way through all kinds of dirty, gritty life. Some days I didn’t know what we were going to eat or where I’d sleep. I didn’t have the time to sit and contemplate the impact of socialism on artists. I didn’t eat shrooms to release my creative nature. I don’t think I’m better than anyone else, or that others who are just beginning their writing career are any less creative. 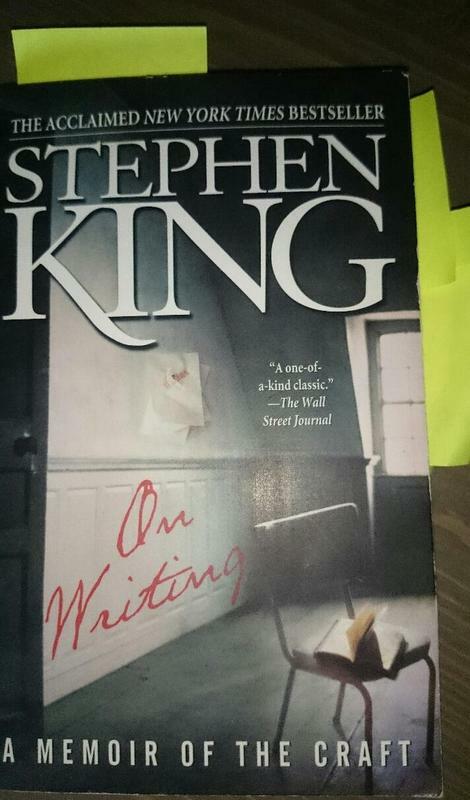 I still run across writers with an elitist attitude and it drives me crazy, but Stephen King taught me many writers were just like me, or that I was just like them. Either way, it was a fantastic realization =). The peek into his writing world meant so much to me. It normalized my over-active imagination and brought the unreachable closer. So those are my three favorite writing books at the moment. Ask me again in five years and the list might change ;). What are yours? Previous Article My writing group celebrates 20 years! Oh, that one looks good. I’ve read some of Campbell’s work before, but never read Vogler. Thanks for the tip! I ordered it! Should arrive in a few days =). Thanks again for the tip. Looking forward to diving in. You’re welcome! It’s a great book, when I was given some photocopied pages of it by a coworker in the 90s they became a treasured reference for years until I bought the book!